Our roots: Splice Detector Technology, a partner of R.K.B. OPTO-ELECTRONICS, INC., (RKB) was founded in 1988 to better address web based conversion industries and finishing rooms for the paper, film and foil markets. Actual roots date as far back as 1950 where two instrumental visionaries Nash and Harrison found the worlds first on-line web inspection manufacturing companies to address a variety of quality assurance needs of the world wide paper industry. Called Nash & Harrison, Limited, the company based in Ottawa, Canada developed and patented technologies using phototransistor, photomultiplier and capacitive sensing technologies. Their primary focus was on sheeter applications where zero defect tolerance was a requirement of the time. Since no other competitive technologies existed at that time the company experienced sustainable growth of more than 25% per year. Primary markets served were Canada, United States and Western Europe. By the late 1950's, the company introduced newer state-of-the-art technologies using phototransistor technology for the detection of spot type defects such as dirt, oil, light spots and other common events that occurred during the paper manufacturing process. They also introduced full sheet inspection for high-speed paper and coating machine processes. 1960: In 1960, the company installed one of its first patented phototransistor based defect detection systems at Guard Bridge Paper Co., United Kingdom. At the time, this was an innovative design that no other company offered and facilitated the ability to detect many more defects that commonly occurred during the process of making web materials such as paper. 1964: In 1964, the company became the leading supplier of machine vision in Europe (at that time there were no significant European companies producing machine vision technologies). However, Government backed programs and intellectual property appropriation facilitated the introduction of various competitive companies in Finland, Sweden and Germany. 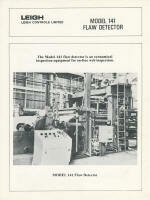 1965: By 1965, the company had installed hundreds of systems worldwide with its installation at Wiggins Teape, Aberdeen, Scotland and Champion Papers, Hamilton, OH (chromekote) making it the leader in on-line high speed machine vision technology. In the mid 1960's: Nash & Harrison introduced technologies for use in film and foil applications. the also introduced what would become a standard in finishing rooms worldwide, it's model 119 Splice and Tearout Detector. Initial development of this unit was directed specifically at OEM contracts with sheeting companies like Beloit, Clark-Aiken and Jagenberg. While promising, the unit had speed limitation challenges and required calibration adjustments for grade changes. 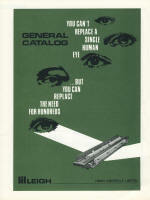 By the later part of 1960, the research and development team headed by William Dobbie redesigned the splice detector, implemented proprietary circuitry which improved performance, facilitated automatic re-calibration on grade changes and modified the sensitivity to allow for a more wide use of the device to include textiles, films, and paperboard. So revolutionary was this new design the company was awarded patent rights by the Canadian and United States Governments. 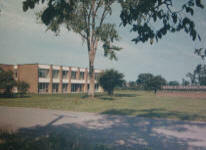 Late 1960's: The late 1960's saw significant changes in the industry. The industry saw competitors emerging such as Cutler Hammer, Sick Optic, ULMA and some Asian manufacturers. At the same time, larger multinational companies were looking to diversify into other industries they felt would enhance current technologies they offered. 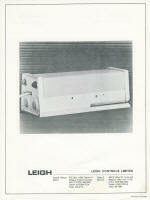 Once such company was Leigh Controls Limited, a major player in the avionics industry. Involved in case packaging machinery, converting machinery and other associated areas, Leigh Controls Ltd., considered implementation of inspection to be a natural fit with their current technologies. While the company experienced higher growth than in previous years, various business decisions made by in-experienced management personnel led to a critical mistakes, one of which to pull out of the European market to focus more on the emerging US market where quality was not considered a high priority at the time. This decision later would hinder growth for Leigh Controls and allow companies like ULMA and Sick Optic to gain market share. By 1976: By 1976, financial considerations and logistics required the company to revaluate its manufacturing base. After 20+ years in Ottawa, Canada the decision was made to move across the border to the United States. This would provide better logistics and purchasing power allowing for significant reduction in manufacturing costs and improve profitability. After careful consideration of various locations, the company located to Syracuse, New York which at that time was a hub for serious industrial manufacturing with companies like Carrier Corp, GE, and GM to name a few. 1979: 1979 was a year that saw significant gains in machine vision technology. The company had completed and patented the first camera-based vision system used for online web inspection. Designed for film processing lines, the new camera system provided detection capabilities far beyond typical photomultiplier, laser or phototransistor technologies. However, it would not be until 1986 and the invention of CCD technology that other suppliers would catch onto the successful use of camera technology as a sensing platform. By then our company had over 8 years experience in filtering techniques specific to camera-based technology allowing us to provide a more stable and reliable inspection overall. 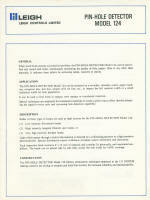 1980: 1980 was the year that our company became officially known as R.K.B. OPTO-ELECTRONICS, INC. In October of that year, William Dobbie acquired the Industrial Process Automation Division of Leigh Controls and renamed the company R.K.B. as it is most widely known today. With new insight and direction, the company became the premier supplier to Crane & Co., Inc. manufacturers of the United States Currency. Within 7 years, R.K.B would introduce high speed CCD based inspection technologies using all forms of camera sensors unlike competitive companies, many of which are no longer around. Of course, by the late 1980's, the CCD development facilitated the introduction of many smaller companies all bidding for piece of the market, some successful, many were not. 1992: In 1992, William Dobbie again designed an innovative technology for the detection of coating streaks. Unequaled in performance by any other competitive solution, even today, this technology allows R.K.B customers the ability to detect coating streaks and scratches that have long plagued coating material manufactures. With the ability to detect streaks as small as 1 micron, this patented and innovative solution truly presented a quantum leap in inspection technology. 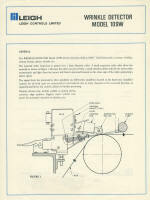 1994: R.K.B successfully introduced its new streak detection technology to Europe. So successful was this installation, that the mills technical manager to date has not seen a unit that can compare in reliability and accuracy. By 1997, R.K.B has gone back to the drawing board so to speak and developed specialized technology for the detection of similar defects for magnetic media which was is an important media now preferred by consumers and business alike as the media of choice in everyday use. 1997: In conjunction with Jagenberg USA, Enfield CT, our company was tasked to come up with a splice detection solution for center of web mounting that facilitated the innovations of our standard edge mount unit. This would eliminate the need for operational intervention for deckle changes. After careful development, our company introduced it's 1032B Center Mount Splice Detector (joint detector) based on capacitive technologies. Over the span a few years, this unit became the second most widely used technology worldwide in both paper and conversion processes. 2002: towards the end of the 90's, our company had received many requests for a reliable splice detection solution for metalized materials such as food packaging. To date there was not alternative and no successful technology in place. Once again, our companies research and development pain-stakenly develop a solution that will work on foil type materials. Part of the overall objective was to also ensure the unit could be used for non-metallic material as well to better provide flexibility to the consumer packaging market. In March 2002, our company released the first successful splice detection (joint detector) for metalized material used in the process of holographic packaging and securities. 2003: September of 2003, R.K.B successfully installed its machine vision technology in the growing Asian market where quality control is becoming a staple requirement for web based material manufacturers quality initiatives. One of the systems installed was the companies patented coating streak and scratch detection technology. As a result of this installation and the growth rates estimated in Asia, R.K.B decided to open up a base of operations to service its customers in Asia, Southeast Asia, Australia and New Zealand. Located in the heart of papermaking Jiangsu province, China, R.K.B ASIA has put forth significant effort to establish itself as a leading supplier with installations at many premier papermakers throughout Asia, Southeast Asia and Australia. 2007: Currently our company is developing new green technologies for its splice detection solutions. expected for release in January 2009, our company has developed the Sentinel splice detection (joint detector) that provides more stable performance, ultra high outputting and environmentally sound conditions. It will have the ability for our customers to automate auto-retraction and edge of web monitory for guiding. Designed for ease of use, the Sentinel will allow for web threading without operational intervention, while incorporating green solutions to reduce power consumption giving more value added savings to our customers.